Birthplace : Newark, New Jersey, U.S.
Gloria Gaynor is an American singer, best known for the disco era hits; "I Will Survive" (Hot 100 number 1, 1979), "Never Can Say Goodbye" (Hot 100 number 9, 1974), "Let Me Know (I Have a Right)" (Hot 100 number 42, 1980) and "I Am What I Am" (R&B number 82, 1983). Gaynor began to revive her career worldwide with the revival of disco beginning in the early to mid-1990s.During the late 1990s, she dabbled in acting for a while, guest starring on The Wayans Bros, That '70s Show, and Ally McBeal before doing a limited engagement performance in Broadway's Smokey Joe's Cafe.In 2001 she sung "I Will Survive" in the 30th Anniversary Concert for Michael Jackson. She returned to the recording studio in 2002, releasing her first album in over 15 years, entitled, I Wish You Love. The two singles released from the album, "Just Keep Thinking About You" and "I Never Knew", both topped Billboard's Hot Dance Music/Club Play. Both singles also secured moderate to heavy Dance format radio airplay. The latter song also charted #30 on Billboard's Adult Contemporary chart. On September 19, 2005, Gaynor was honored twice when she and her music were inducted into the Dance Music Hall of Fame. She was inducted in the Artist Inductees category along with fellow disco legends Chic and the late Sylvester. Her classic anthem "I Will Survive" was inducted under the Records Inductees category. -I Will Survive (The Anthology) , PDG/Polydor, 1998. -Just Keep Thinking About You , Logic/BMG, 2001. 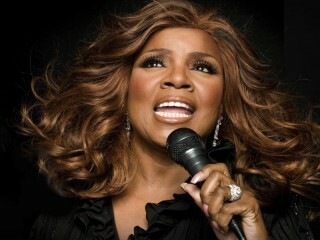 View the full website biography of Gloria Gaynor.